Everton cruised to victory against League Two Cheltenham in the Third Round of the FA Cup, scoring 5 well taken goals in the process. Clearly intent on making an impression on this seasons FA Cup, David Moyes named an incredibly strong Everton side, refusing to take the lowly status of the opposition for granted. Scared from previous cup upsets, and the disappointing defeat to Leeds United in the Capital One cup, Moyes made three changes to the side that defeated Newcastle 5 days previous. The game started at quite a pace, with Cheltenham, fired up by their manager, looking to cause the first genuine upset of this years competition. However their fire was quickly extinguished, with first Jelavic and then Baines putting Everton 2-0 up inside the opening 20 minutes of the match. From there, Everton started to put a stranglehold on the game and there was little surprise when Leon Osman scored a 3rd straight after half time, the man of the match dancing round two defenders before firing past the keeper from close range. Cheltenham did provide the watching Evertonions with a slight scare when they pulled a goal immediately back, but heart beats were settled quickly when Seamus Coleman scored an exquisite 4th for the Blues, controlling the ball superbly, before floating the ball perfectly over the head of the stranded keeper. From this point the Toffee’s were coasting, passing the ball with ease as their Gloucestershire opponents ran out of steam. Late in the game a swashbuckling run from Anichebe ended in the perfect ball for Fellaini to fire home a 5th and cap a very satisfactory evenings work for David Moyes and his team. 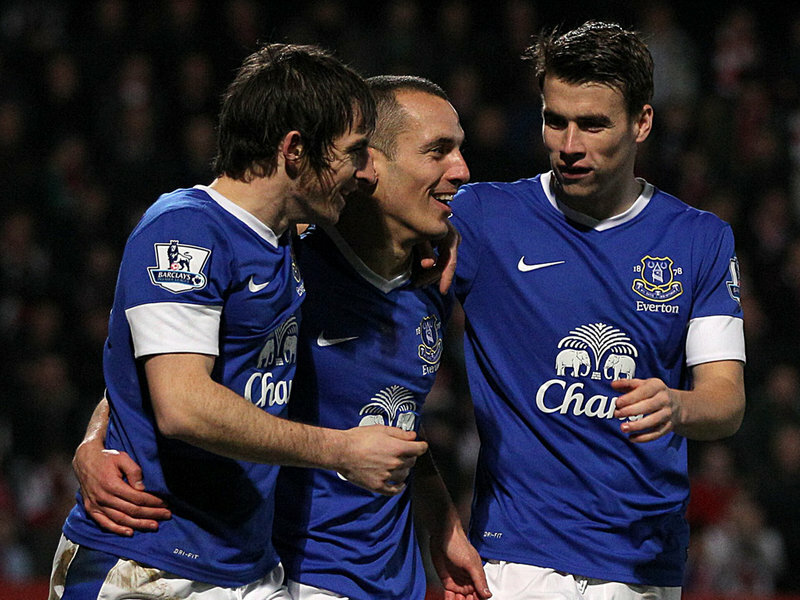 Bolton or Sunderland await in the 4th round and Everton will go into that tie in confident mood.